While virtual reality—or VR—seems to be gaining ground, I honestly haven’t seen the appeal of it. I like games, but haven’t felt the desire to have it consume my entire vision, or get that immersed in it while at home. I like console and handheld games, and other forms of entertainment like film, books, etc. 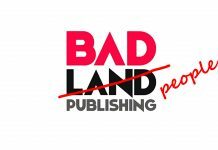 They’re imaginative fun that doesn’t need to be right in my face, and I can easily step away from them. But Alien: Descent, a VR game for the Alien franchise, has opened my eyes to a different possibility for the emerging technology. It’s not a VR experience you can play at home—you have to first go out to enter the game’s world. 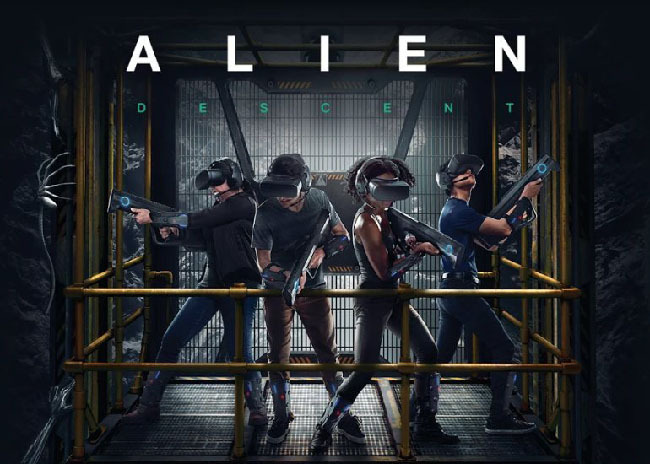 Created by Pure Imagination Studios and FoxNext Destinations, Alien: Descent opened in 2018 as a physical facility dedicated to running a free-roaming VR experience that can be played with a group. During the game, players freely move around while navigating a guided path with headsets, lightweight motion sensors wrapped around their arms and legs, and a plastic rifle. The technology that Alien: Descent uses doesn’t require VR backpacks or wires. 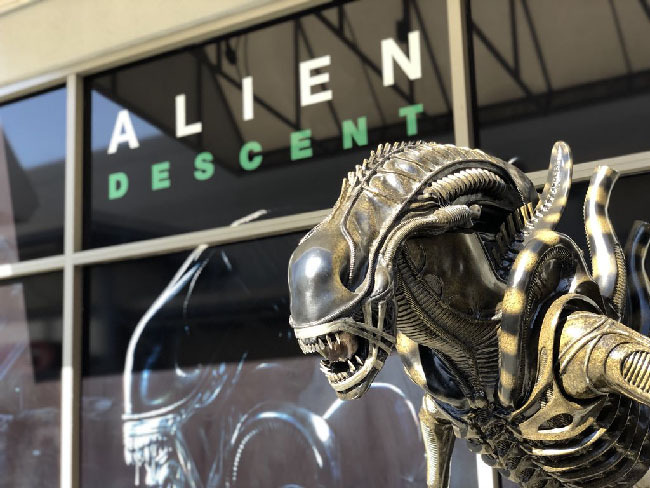 Housed in a building that was constructed as part of the Outlets at Orange in Southern California, Alien: Descent takes game immersion one step further by going beyond the digital realm with physical props, costumes, and staging. When I tried it out with my family, the building’s exterior was clearly marked with the game’s logo and artwork—but once inside, a foreboding mood was set with a darkly lit room, striking a big contrast from the sunny day outside. The large, detailed statue of the eponymous Xenomorph alien near the entrance added even more to the effect. The gameplay area was sectioned off behind walls made to look metallic and sci-fi, and with entrances labeled for “Alpha” and “Bravo” teams. The staff at Alien: Descent were dressed in Weyland-Yutani crew uniforms, identifying them as employees from a fictional corporation that’s heavily featured in much of the Alien franchise. They largely stayed in-character and role-played while they ran the game. It all helped bring the original source material to life, and further immersed us in the game’s story, which featured space marines preparing to answer a distress signal from a Weyland-Yutani mining site. Alien: Descent wasn’t just putting on a headset and any other necessary equipment to play a VR game at home. It was going out to a place fully devoted to VR through digital technology, a physical setting, and dedicated staff. And it was a place that let people share the VR experience together. Between the game’s multiplayer nature and physical location, Alien: Descent gives an example of VR as less of a solo home experience, and more like another thing people can go out to do with friends and family, alongside going to the movie theaters or out to dinner. In fact, Alien: Descent feels like a slice of theme park entertainment extracted from Universal Studios or Disneyland. 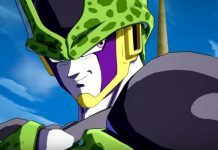 Without going into too many spoilers, the game itself was very entertaining. It captured the feel of a multiplayer video game, and added new dimension to it through its free-roaming nature. It was just fun to literally walk around with your partner and a game weapon, rather than do it from a couch. The game continued to have an extra edge of physicality while I played through it with my family, expanding on all the physical props that surrounded it. Temperature cooled or heated up based on what was happening in the story of Alien: Descent, such as being put to cryosleep. I reached out for digital railings and touched real ones; the VR imagery synced up with a physical prop. It was an ultimately pleasant shock to reach out for something while in VR, and actually touch it. The physical railings integrated into the VR game also served as a good way to help safely guide players while the headset was on. 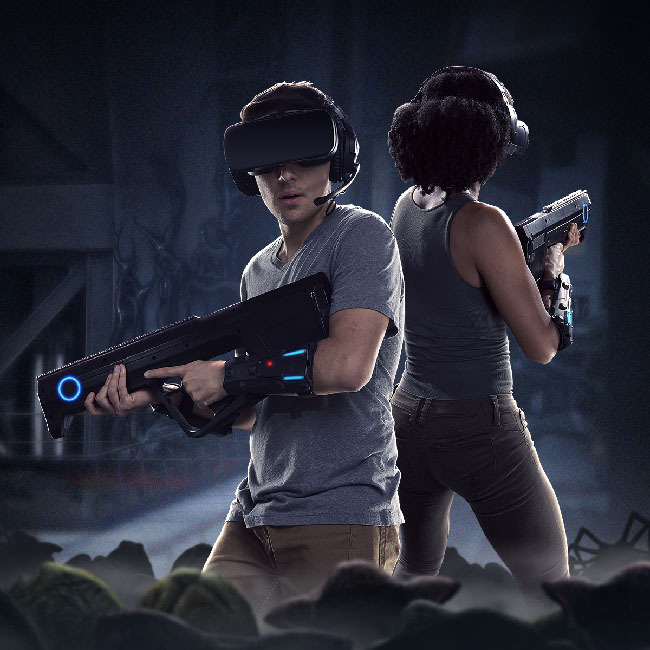 Alien: Descent isn’t the only location-based, free-roaming VR experience. A zombie version of it can be found at the MGM Grand hotel in Las Vegas. Entertainment company The VOID lets you play out a Star Wars adventure with K-2S0 in locations like Florida and Malaysia. 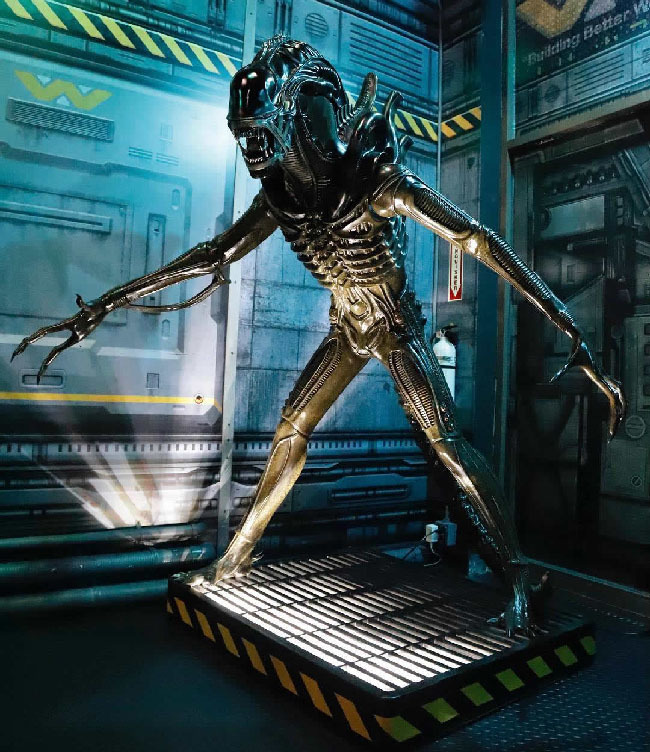 You can enter an alien zoo at Dreamscape Immersive, which is also in California. Variety reports that Facebook’s Oculus has plans to do location-based VR too—though also with the intent to use it to generate more interest in buying VR headsets for in-home use, which have had lagging sales. 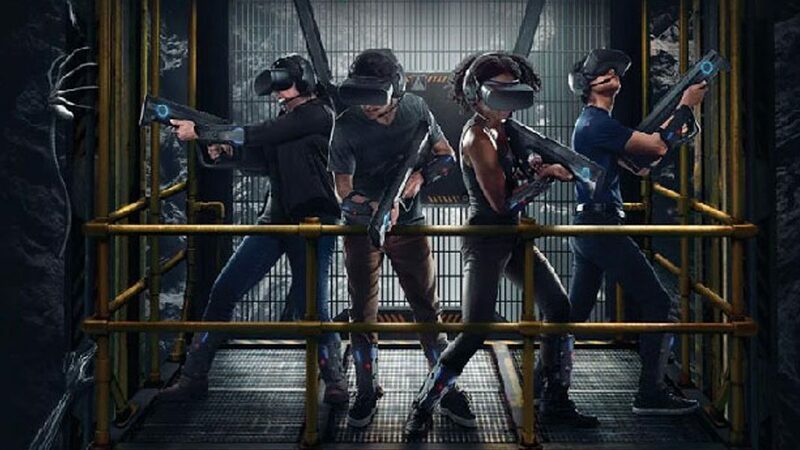 According to Forbes, VR remains largely inaccessible due to costs, and Variety points out that “complexity associated with the technology” is also a barrier. 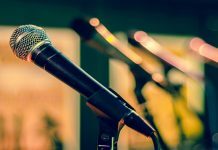 Location-based VR can simplify the process by providing all the necessary technology and set-up as a paid service at a venue. This again points to how the use of props, costumes, and other physical details for Alien: Descent add something extra to the whole experience. Ultimately, I’m still not sold on VR as it’s been previously presented to me, as a solo in-home experience along with console and PC games. But I am interested in VR as something else I can go out and do with other people for a few hours, as another option for a day trip. There were signs posted in the building that said you had to be 10 or older to play, and I figured these two wouldn’t be able to join in. But there was no dramatic fuss over that; the kids were much more interested in the giant Xenomorph alien statue that towered over them. I saw one of them ask an Alien: Descent crew member if they froze it, clearly thinking the detailed statue had to be real. The crew member told him they did; that they had to tire the Xenomorph out and capture it. She then told him that they had even more aliens, but only back there—and she indicated the gameplay area hidden behind sci-fi prop walls. Observing that crystallized what felt like some of the real spirit behind Alien: Descent for me. The location-based VR game felt like a return to make believe and play pretend, with theatrical fun and a sense of wonder becoming possible again.